Tanenbaum, A.S, Klint, P, & Bohm, W. (1978). 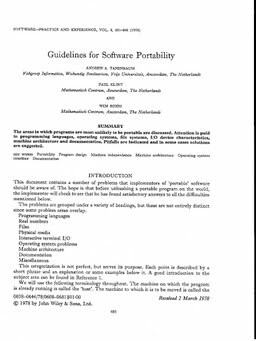 Guidelines for software portability. Software: Practice and Experience, 8, 681–698.